We took the back roads to Campanet via the golf club. After a stop by the chapel it was a quick climb up the hill. We took the road towards Binibona but turned off and climbed the hill to Moscari for a coffee. Refreshed we returned back down the hill and onto Binibona. 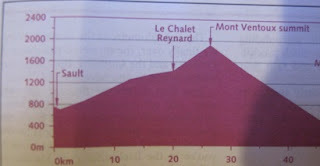 A minor road and a few climbs took us to Calmari and then onto Mancor De la Call. After a quick descent we turned off towards Biniamar. The Bar Mayorga was very popular this year but we shared on outside table with a German cyclist and her Scottish husband. (The bar is closed on Mondays) The pa amb oli is excellent. good quality meat and cheese and only 4 euros pp. After lunch we continued down the hill. In previous years we have turned off at Lloseta towsrds Inca but you have to negotiate the large town. This year we continued to Binnissalum and took yesterday's route to the water road. A diversion of about 8 miles. 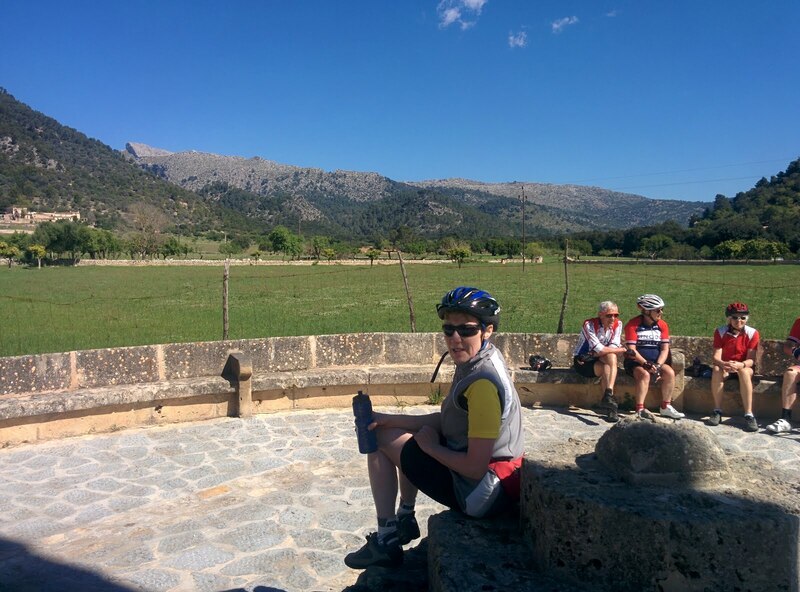 A strong breeze helped push us towards Inca and we then took the minor path to Sa Pobla. Speeds over 20mph we recorded achieved by gentle peddling aided by the wind. After coffee and a cake, mine turned out to have ham in it and not sultanas!, we returned via the The Parc Natural S'Albufereta and the back roads to Port De Pollenca.. We ate on Coral just down the road.